55% of female Fortune 100 CEOs earned their MBAs. Find out the background behind each of these successful women and how their MBA influenced their career path. 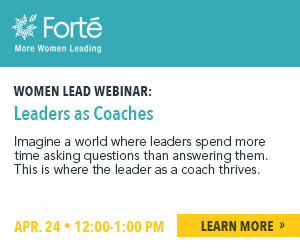 Forté Family is a quarterly newsletter featuring profiles of women in leadership and our Forté Fellows. Become a member to receive this newsletter!